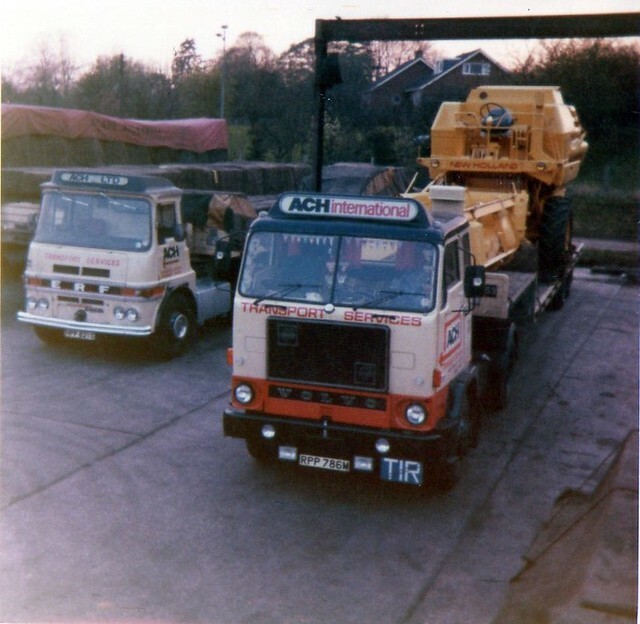 Seeing as its father day……… Back in the early 1970’s before i was a twinkle in my parents eye, my dear Dad worked for Aston Clinton Haulage or ACH as they were known. 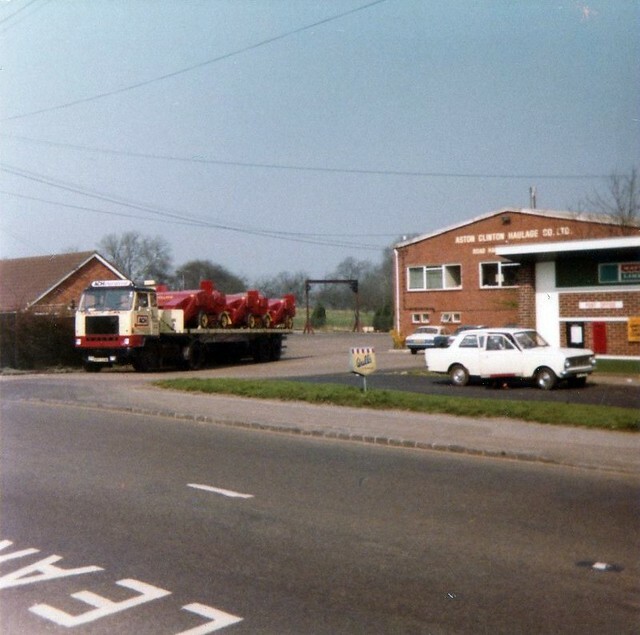 Based in Aston Clinton Village, long before they moved to Aylesbury. I have often wondered who else knows any thing else about ACH at this time. When i put these on www.trucknetuk.com the photo’s which most people put on were all later liveried trucks, some were F88’s but again they were in a slightly later livery. Cracking old ERF, i think the old man used to take her out on the road now again. Also note the lifting frame for loading. 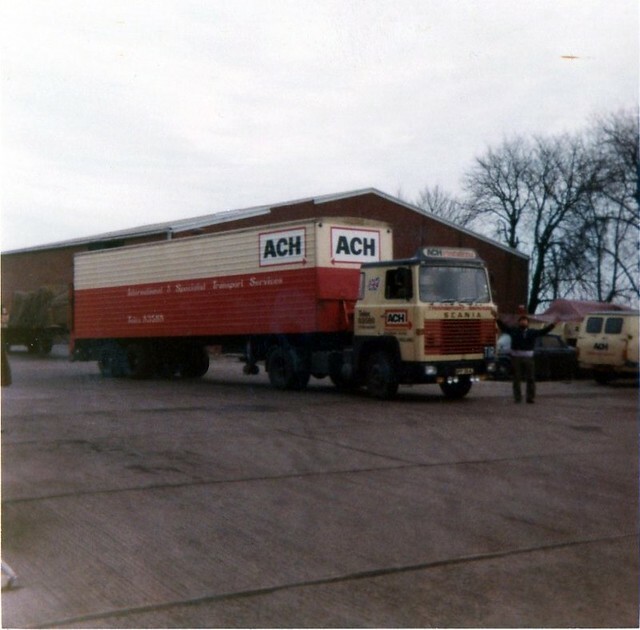 It seems in the early 1970’s not many people remember or were working at ACH, as i haven’t managed to get hold of or find anyone else who was there!! The only chap i know was there with my dad was Brian Soames, pictured below obviously in high spirits, perhaps it’s the snazzy coloured trailer!! I did manage to find out Brian was last seen working at Norbert Dentressangle in Leighton Buzzard. If you know of Mr Soames please ask her to get in touch. I do love this picture below. I can just see it now heading out of Calais, sleeper cabbed Scania, little GB box trailer full of Britains finest manufacturing, now that is the romance of the road! Is that one of those old Bedford vans in the background, or a Transit. Now as you can tell from the pics New Holland were a big customer. Combines and balers were regular cargo for ACH and that is were my old man comes in. As far as i understand it, he was chief loader and warehouse man. Eventually my Dad came up with the idea of a frame to put on the flat trailers to enable the smaller balers to be double stacked, obviously after the below photo was talking. The balers don’t way anything so doubling the amount on a trailer wasn’t a problem, it just needed the initiative…………..it’s a pity it doesn’t seem to run in the family!! I also remember dad saying that a regular Italian reload was washing machines. The chap that used to drive the Volvo below (no name I’m afraid), used to be one of those old legends, who liked to be home for his Friday night pint. Most weeks he’d head off to the continent with what ever the export cargo was, plenty of fags and cash for the Polizei, reload a full hand ball load of washing machines and be back in the yard in time for his pint. Oh The good old days!! 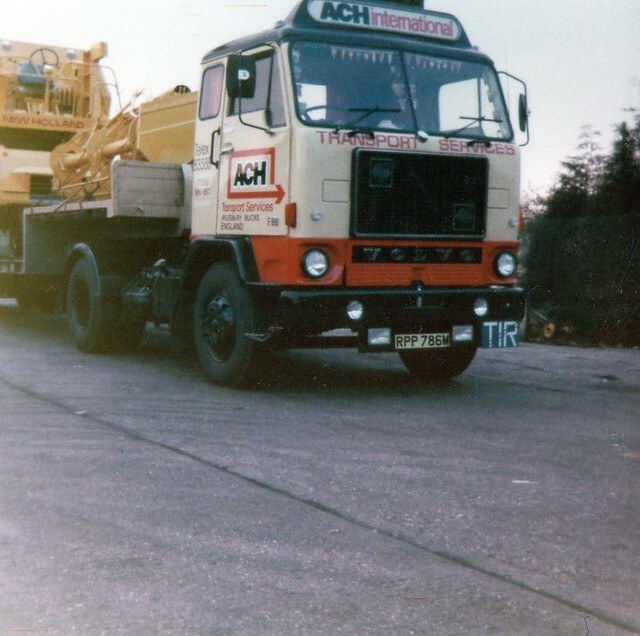 This entry was posted in Golden Oldies, International Mega Trucking, Photos, Scania, Volvo by truckbloguk. Bookmark the permalink. i worked at ach between jan.1974.to nov.2003 nearly 30yrs.i knew all of the mentioned drivers, most are sadly deceased. also at that time ,early 70s there was john barnes,bob hall, eddie dunk,sammy vogan,jock halliday,john robson,ray smith, others there names have slipped my memory. ach,had some good uk work before we started european.as mentioned n.holland.paper from wolvercote and wycombe,euromax a.clinton,b.clarke bottles at weedon and much more.good days. How nice of you to join us Mr Fowler. Ref these photos, they are all my Dad, John Sheldrake, has from his days with ACH in the early 70’s. So they are what inspired my live all things ACH and create the very popular Facebook page. I worked in the yard. Loading lorries. Shunting. Washing the lorries etc. From 1977-1980. Great time. Great bloke’s. Great respect for Les Fowler. The best boss l have ever known. What happened to Clive longton. All the driver’s were heroes. Cheers to all of them. OMG, I remember Clive Longton. 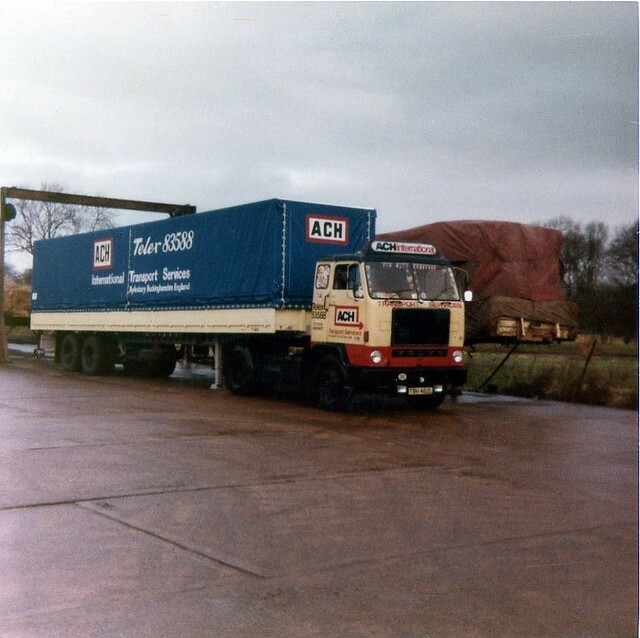 I spent many freight boat journeys going to France with ACH drivers. I drove for Sommer Allibert at the time. Good memories. Would love to know where he is now! If you are on Facebook Kay, there is an ACH page and an awful lot of drivers are on there and if Clive isn’t on there then someone will probably have an update on him. JR. 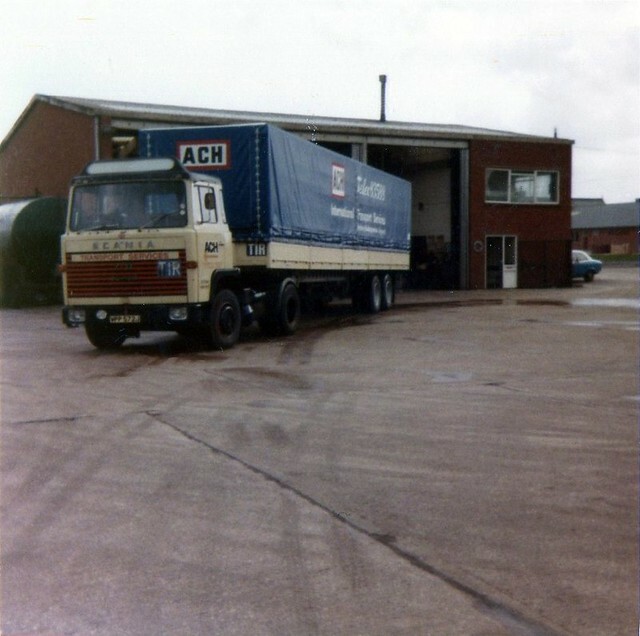 I was with ACHHaulage for over 25 years. I wish everyone all the very best. Good to hear from you Peter. There is a drivers reunion on the 12th May if you can get along. There is an ACH page on Facebook if anyone can show it to you Peter? Hi,i came across this site by accident after looking at model trucks and the ACH model that is due for release. Just wondered if anyone remembered a John MacDonald from the mid to late 60’s who had a spell in the transport office with Les Fowler. Any recollection?